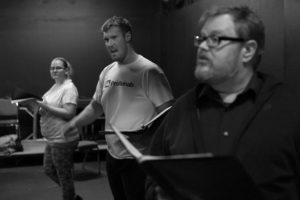 Flashback Theater Makes Waves with Another New Play | Flashback Theater Co.
Flashback Theater Co. (FbTC) continues its season of productions with a new play written by William H. McCann, Jr. The play, Boats Against the Current, offers a glimpse into the experience of a man suffering from memory loss and continues FbTC’s commitment to producing new work by Kentucky playwrights. John Neikirk plays Harrisson, a man who is finding it difficult to remember basic things – like his son’s name. Helped by Daisy (played by Mandy Hieatt), Harrisson tries to hold onto his declining memories and looks for a way to reconnect with his estranged son, J.R. (played by Keifer Adkins). Throughout the course of the play, actual reality begins to meld with Harrisson’s reality. He tries to fit the pieces of his life together and make amends for a past wrong – but struggles to grasp what is going on in the present. The perspective of the play offers the audience a unique look into how someone suffering memory loss tries to cope with it. Watching Harrisson find ways to navigate reality can at times be amusing – but also lets us see just how confusing it can be for him and his family. Amber Frangos plays Harrisson’s wife, Eleanor. At first in denial about Harrisson’s loss of memory, Eleanor has to learn to deal with loving a man who may soon forget their life together. Complementing Eleanor is J.R.’s fiancée, Marie, played by Steffanie Tucker. Rounding out the cast is Carol Rogers, who plays a selection of characters that all merge together in Harrisson’s mind as he tries to stay focused on keeping up with his reality. William H McCann, Jr. is a playwright, an advocate for Kentucky playwrights, a producer, poet, editor, publisher and teacher. As a co-founder and president of Kentucky Playwrights Workshop, Inc., Mr. McCann also created the Kentucky New Play Series. As its producer from 2012 through 2016 he twice premiered area playwrights’ 10-minute plays at the Kentucky State Fair: Chris Harris (Somerset) and Stephanie Porter (Russell Springs). From 2012 through 2014, he served on the board of the Kentucky Theatre Association as Contest Coordinator of the Roots of the Bluegrass New Play Contest. Boats Against the Current is his first full-length play to be premiered. His 10-minute play There is No Wrigley Field will premiere in Berea on March 30 as part of the Spotlight Short Play Festival. In between the play premieres his one-act play Southern Gothic will be part of a reading at the Clark Co. Public Library, Winchester, March 17. 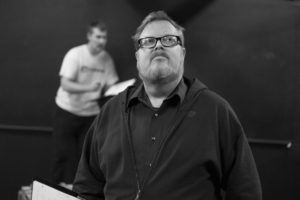 John Neikirk is a Somerset native in his second production with Flashback Theater. He formally studied acting at Campbellsville College where he performed lead and character roles in a variety of productions. John has enjoyed numerous roles in various community theaters in Kentucky, Florida and Washington, D.C. and hopes to continue improving his acting skills in future Flashback productions. Mandy Hieatt is excited to be making her debut with Flashback Theater. She is an accomplished musician, participating in several local musical organizations. Mandy owns and operates Mandy Hieatt Services where she provides accounting and tax services, music lessons, and other services. In 2014, she obtained her MBA in Accounting from St. Leo University. During her free time she enjoys spending time with her husband on their alpaca farm. Keifer Adkins is thrilled to be in his first production with Flashback Theater Co! He is a WKU alum with Bachelor’s degrees in both theatre and history. Since graduating, he has worked as a professional actor and freelance carpenter in New York, North Carolina, and Kentucky. Keifer enjoys weightlifting, podcasting, writing, and travel. Steffanie Tucker is excited to be performing onstage for the first time at Flashback Theater. Born and raised in Somerset, she works as an aid at Lifeline and enjoys spending time with her 3 kids. She enjoys the arts, painting, and reading. Carol Rogers, a lifelong theater lover, debuted with Flashback in Rosies: The Women Who Riveted the Nation last summer. Carol volunteered with her church as Artistic Director for several years where she helped write, direct, and act in many productions. She looks forward to working with Flashback Theater Co. in the future. Single tickets for this show will go on sale to the public on February 12, 2019. Season ticket holders are able to reserve their seats now. Visit the event page for up-to-date sales information. *Sales tax and fees apply to all single ticket sales. Want to lose the fees? Season ticket holders get fees waived! Call (888) 394-FBTC ext. 1 for tickets. Flashback Theater is grateful to leading season sponsor, Applied Behavioral Advancements, LLC for their ongoing support. The following sponsors have made contributions to Boats Against the Current: Watershed Arts Alliance, McNeil Music Center, WYKY 106.1 FM and WTLO 1480 AM/97.7 FM. 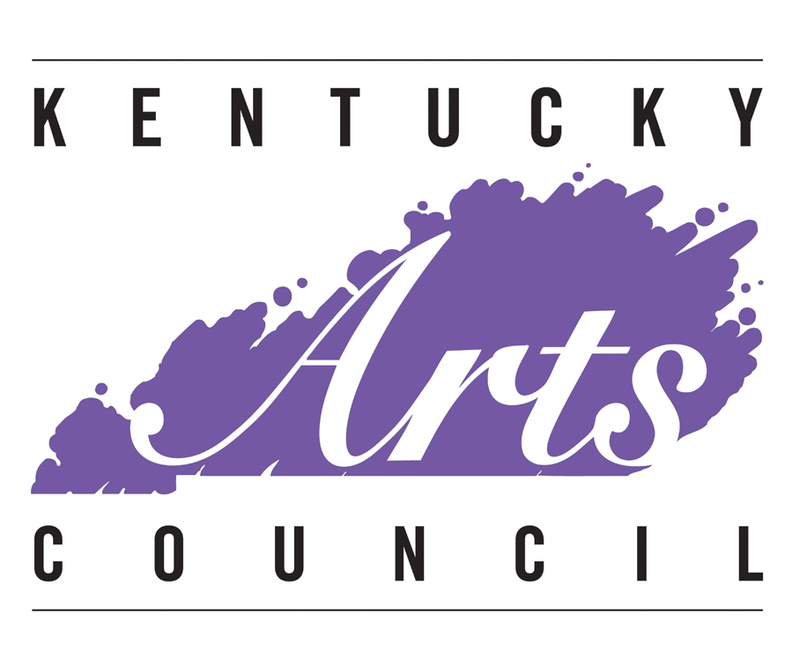 Additionally, the Kentucky Arts Council, the state arts agency, provides operating support to Flashback Theater Co. with state tax dollars and federal funding from the National Endowment for the Arts. Additional season support also comes from Kentucky Tourism, M&W Printing, and Lumber King Building Supplies.